Since I was born and raised in Tokyo, Sanrio played a huge part in my childhood and my creativity. 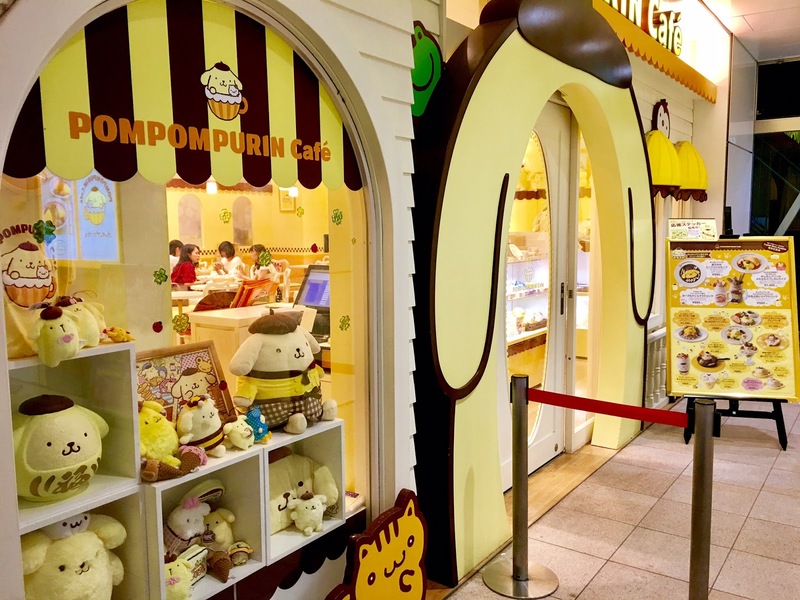 In other countries, Sanrio is predominantly represented by Hello Kitty and you visit Sanrio Stores at the malls. 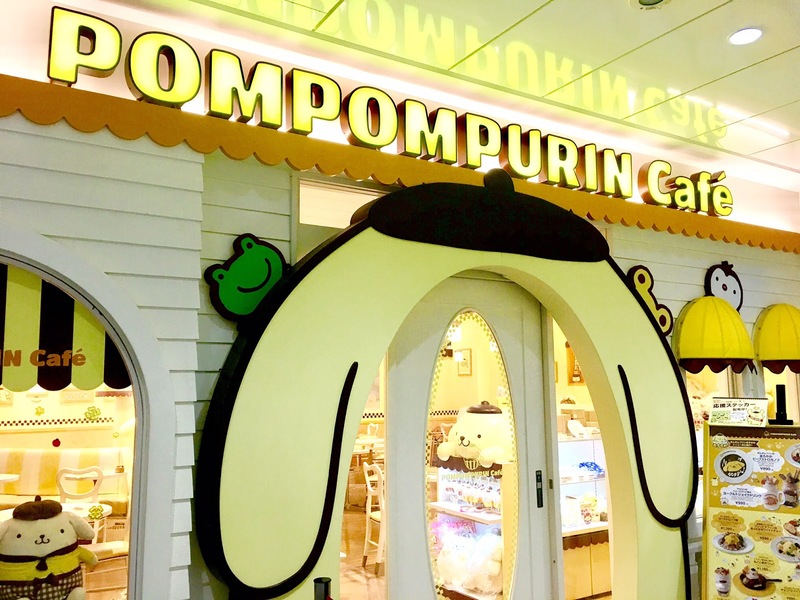 But in Japan, Sanrio is part of the Japanese culture and yes, Hello Kitty is the star of the show but closely followed by Keroppi, Pochacco, My Melody, Kiki & Lala, Batz-Maru, Tuxedo Sam, Winky Pinky, Peckle and Peppy, just off the top of my head! Bet you don't recognize half of what I just listed! 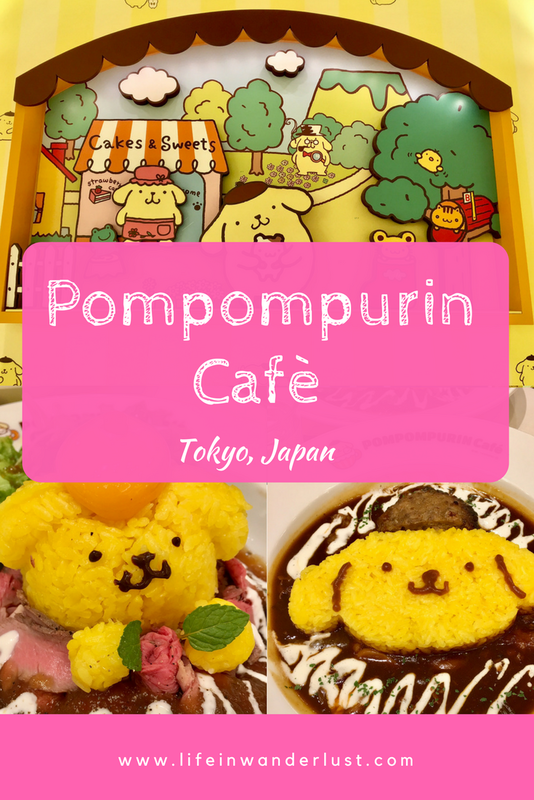 When I found out Pompompurin had his own cafe near my house in Harajuku, I knew I needed to visit! 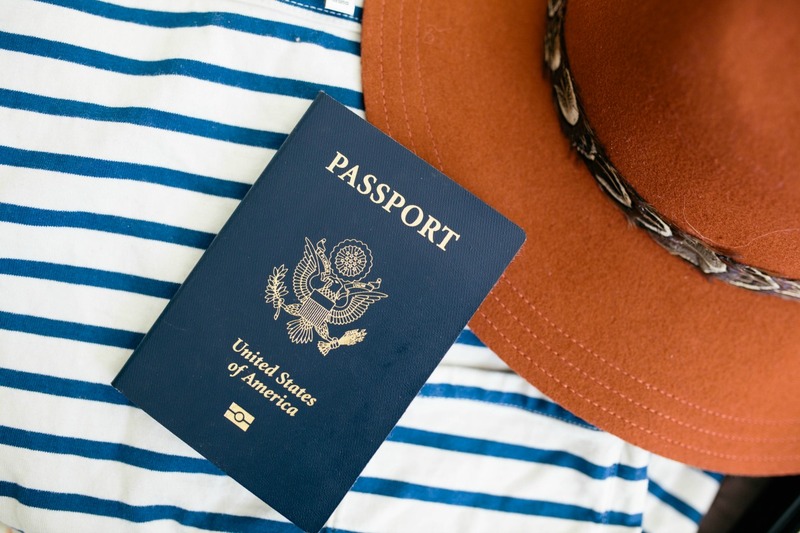 In the beginning, it was so popular that people would line up in the morning to get a time-card that would tell you when to return that day to get seated! I hate lining up for most things so I patiently waited a year or so until it wasn't as insane. 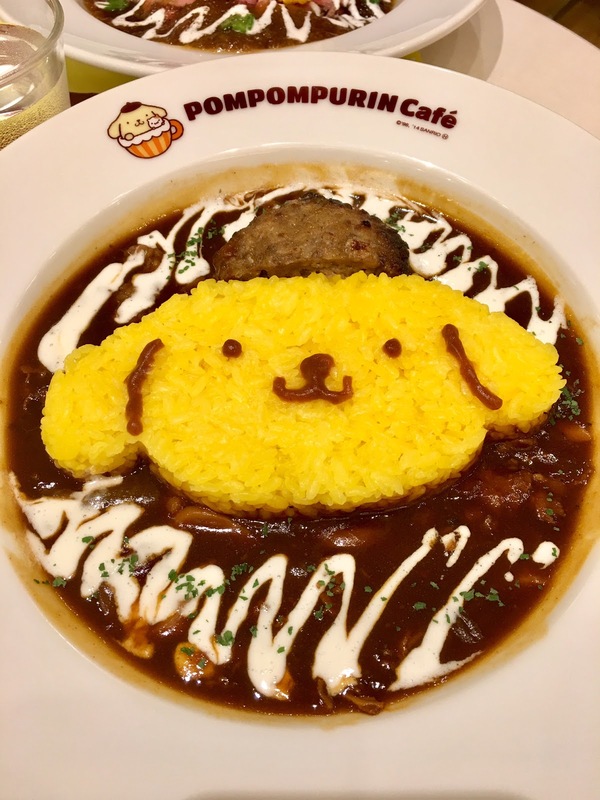 I read some blog posts and reviews about terrible service and mediocre food but I wasn't going to let that ruin my Pompompurin Cafe experience. BUT, what do you know? I received fantastic service from all the employees and our dishes were delicious! And trust me, I have high standards for customer service and cuisine since I grew up in Japan. 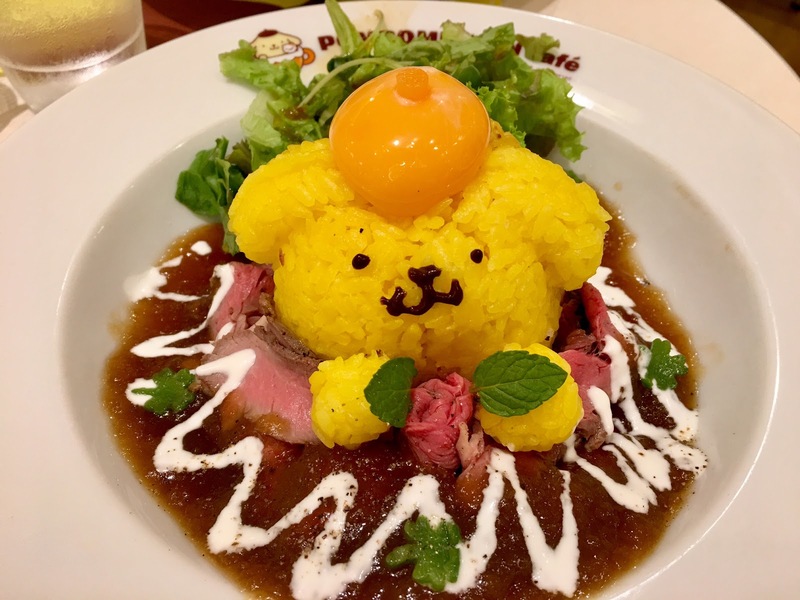 I personally had no complaints - in fact, I would happily go back again to try other dishes...or indulge in the Roast Beef Donburi once again! 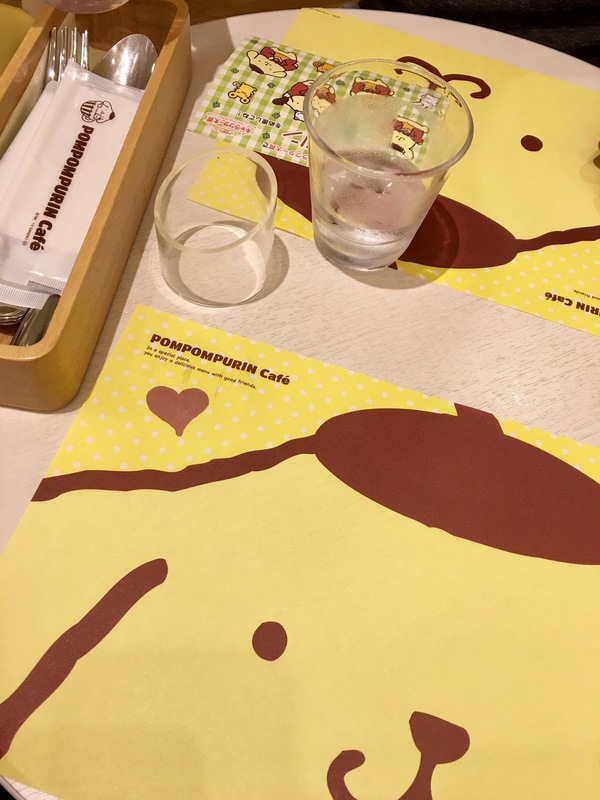 We visited the Pompompurin Cafe in Harajuku on a weekday, around 7:30PM. It was empty, let alone a long line as warned. 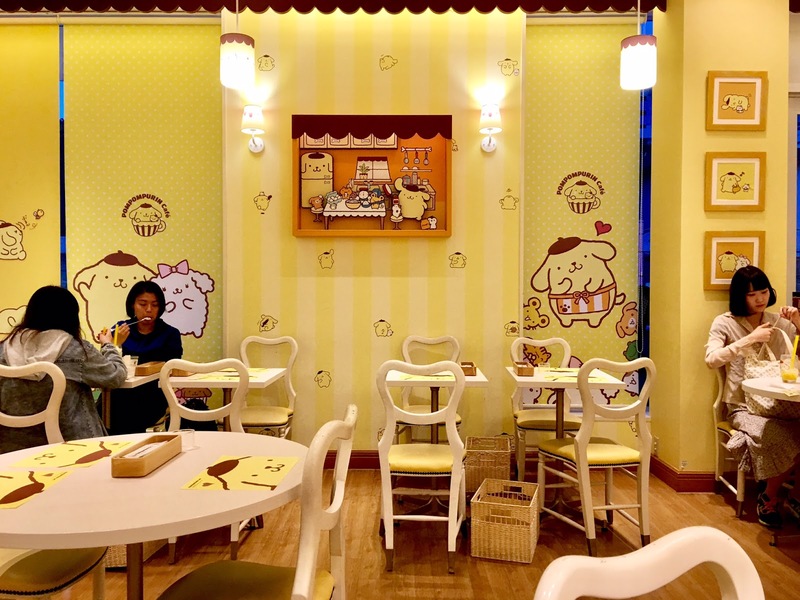 We were immediately seated as I sat and gawked over the charming, creative details of the cafe. Since I'm Japanese, they gave me the Japanese menu but not to worry, they have an English menu for visitors. 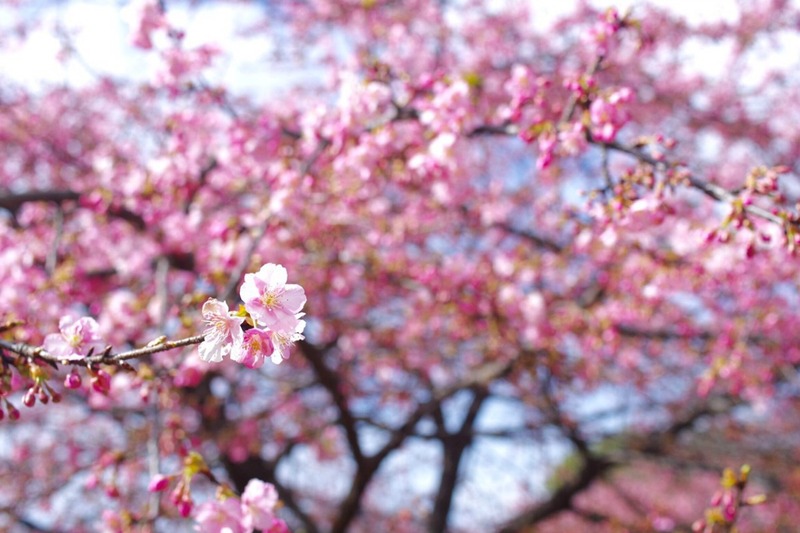 How cute (how many times can I say 'cute' in this blog post?) are the menu items? 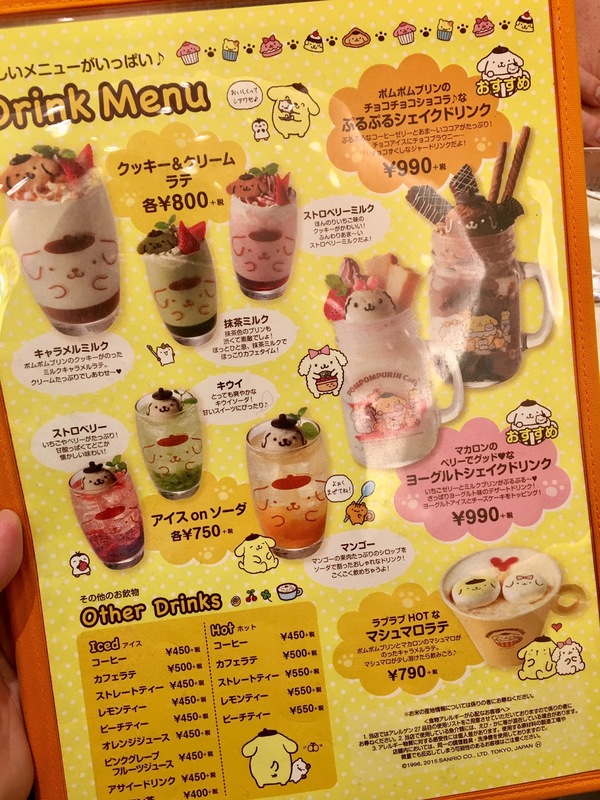 Yes, the items are pricier than a regular latte, soda or milkshake but I expected that from a themed cafe. We ordered the Beef Stroganoff and the Roast Beef Donburi (Rice-bowl), which both ran approximately 1,800 yen. I was shocked by the portions of the dishes; I couldn't finish all of it even though I was starving! The Roast Beef Donburi had a significant amount of roast beef, rice, a raw egg yolk for the hat and the best daikon sauce. Absolutely delicious! My fiancè loved his Beef Stroganoff so much he almost forgot to share some of it with me! 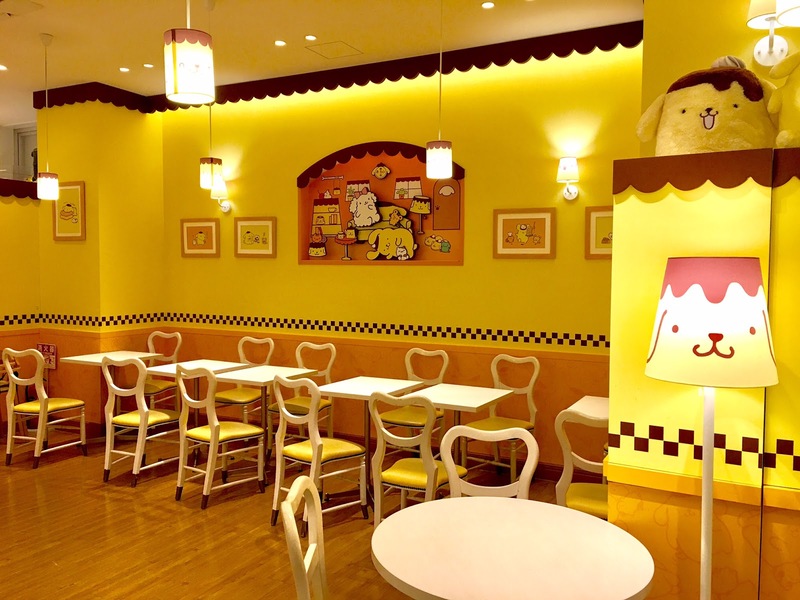 We were way too full for dessert unfortunately, so we walked over to the corner merchandise area for several Pompompurin items where they have limited edition souvenirs that are only available at the Pompompurin Cafe Harajuku. 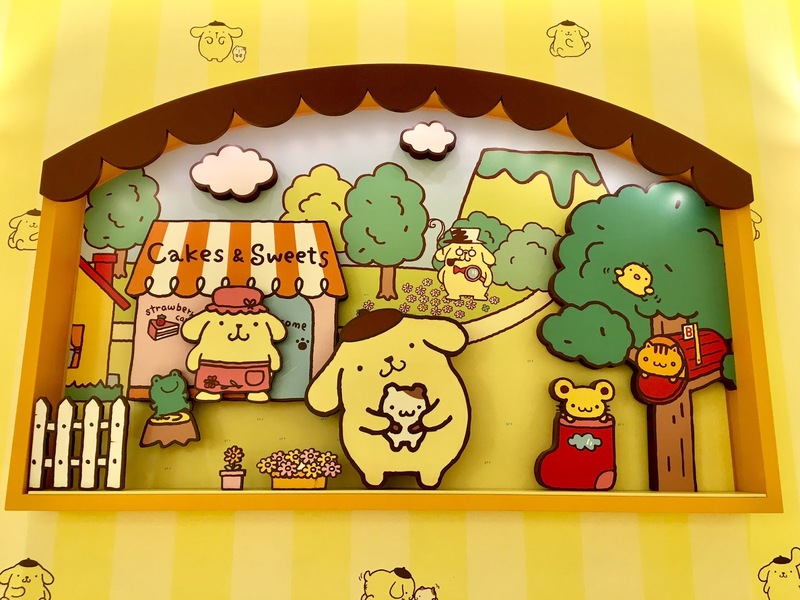 The items are absolutely adorable, the temptation to bring everything home was a real struggle! All in all, I really enjoyed my experience at the Pompompurin Cafe in Harajuku and it met my expectations of it being super kawaii! Even as an adult, I appreciated all the attention to detail, friendly service and delicious food. 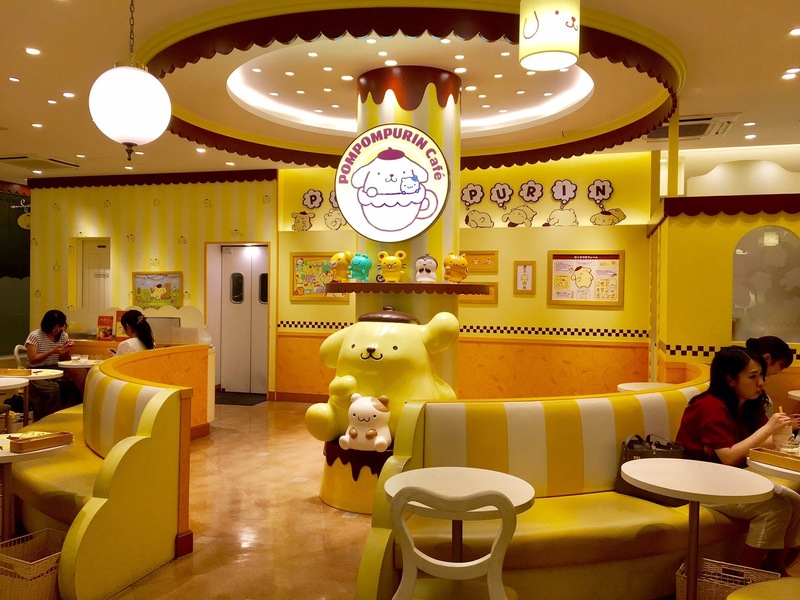 If you have any children that are Sanrio fans, I guarantee they'll have a blast. 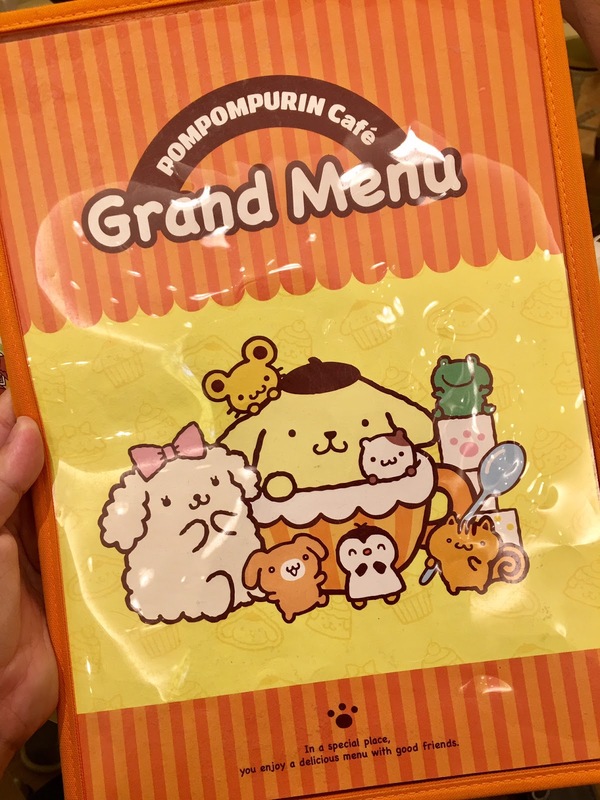 The children's menu was just as darling! Oh my goodness! 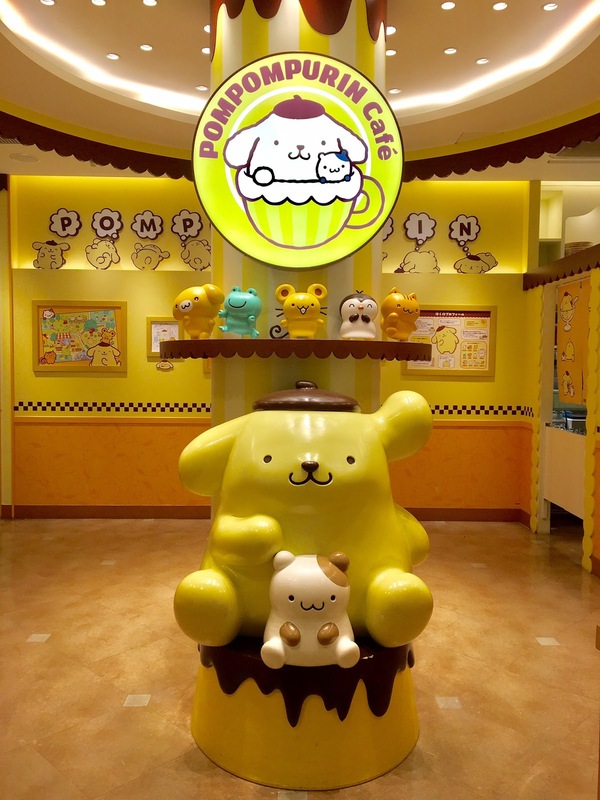 This place looks so adorable. Sounds like you had an amazing time. 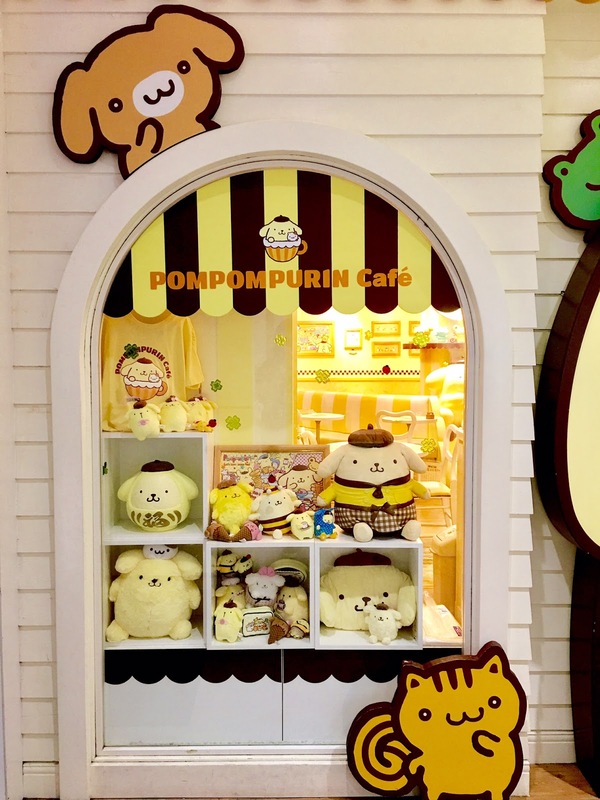 One of the most adorable cafes I have ever seen! He is the cutest little thing. 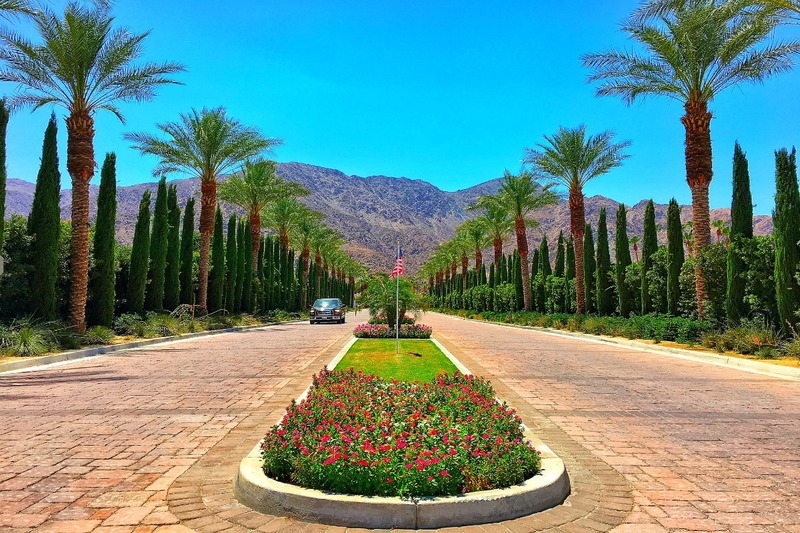 I need to go there!